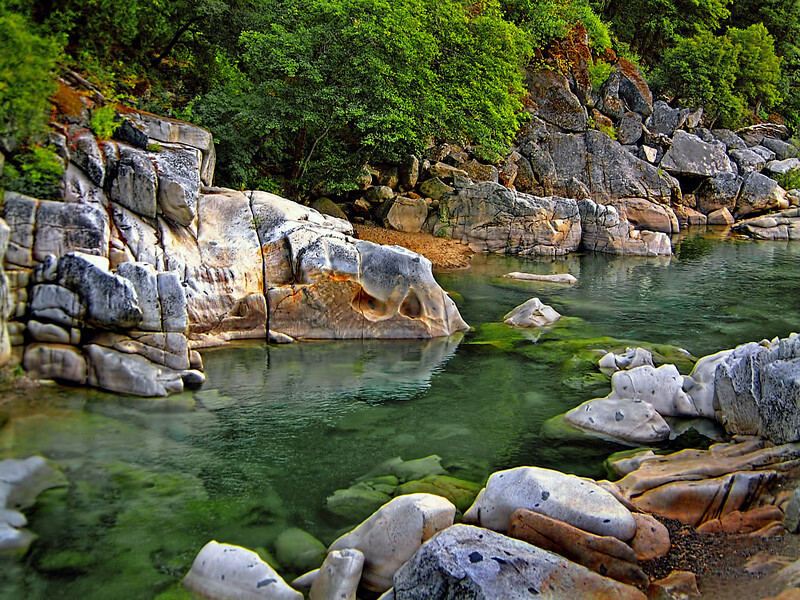 Photographs highlighting the rich history and inherent beauty of California's Gold Rush Communities of Grass Valley and Nevada City. 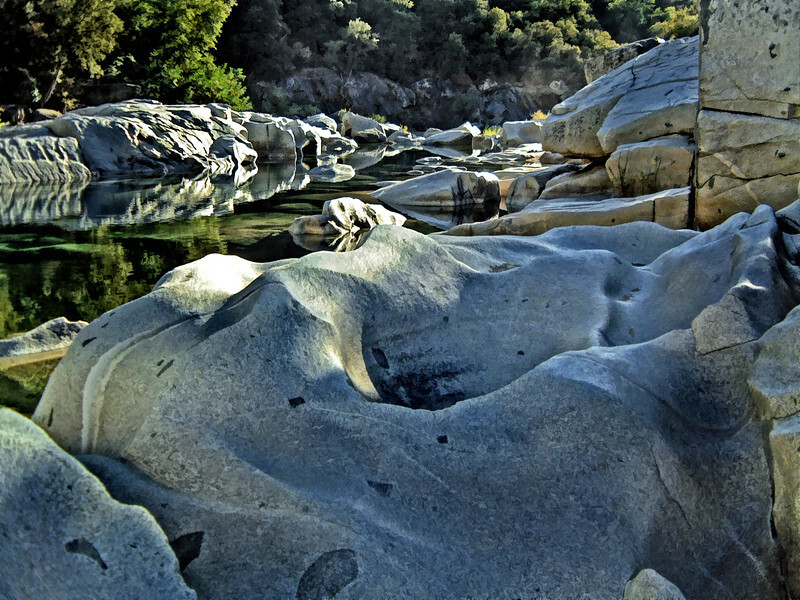 For eons, the Yuba River fashions granite lined canyons into stunning stone sculptures like these on its south fork. 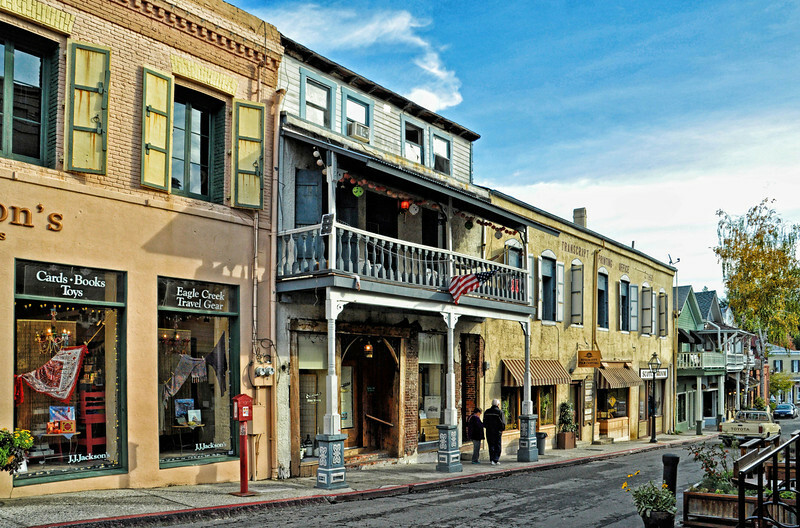 Commercial - Gold Country Folder - a line couple walks down Commercial street in Nevada City, California where the architecture is maintained in its original Gold Rush fashion. 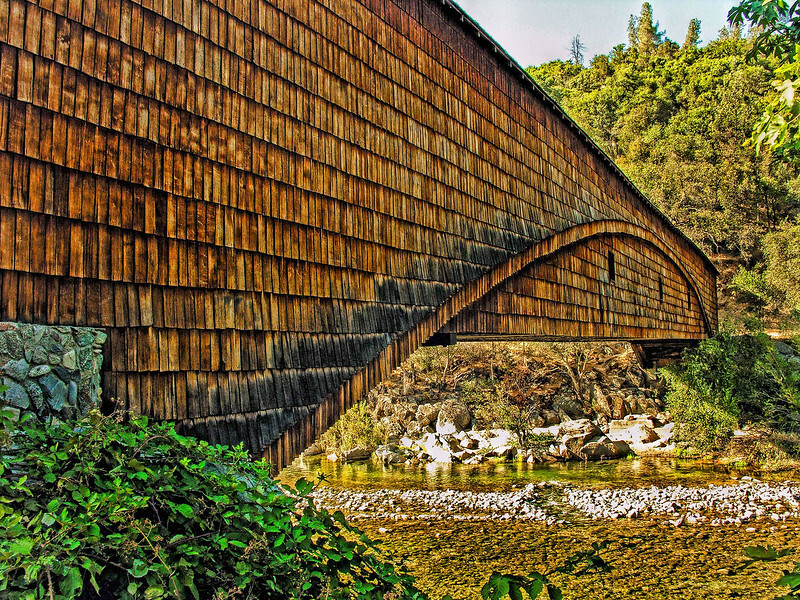 Nevada City and Grass Valley are sister 'cities' just five miles apart and served as the epicenter for much of the gold rush fever from 1849 - 1900. 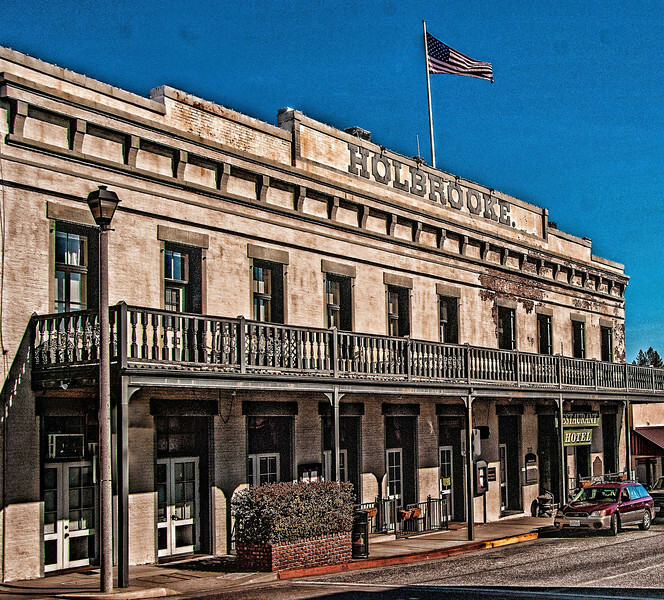 Commercial - Gold Country Folder: Grass Valley's Holbrooke Hotel, a designated landmark, is fully restored and remains in operation after 150 years since its opening in the pioneer gold rush era. 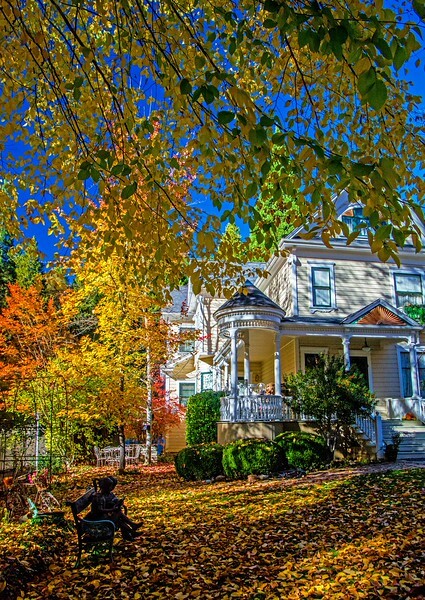 Commercial - Gold Country Folder: the Swan Levine House in Grass Valley was built in 1867 and remodeled in 1895 when it was subsequently used as a local hospital. My 78 year old neighbor was born there. 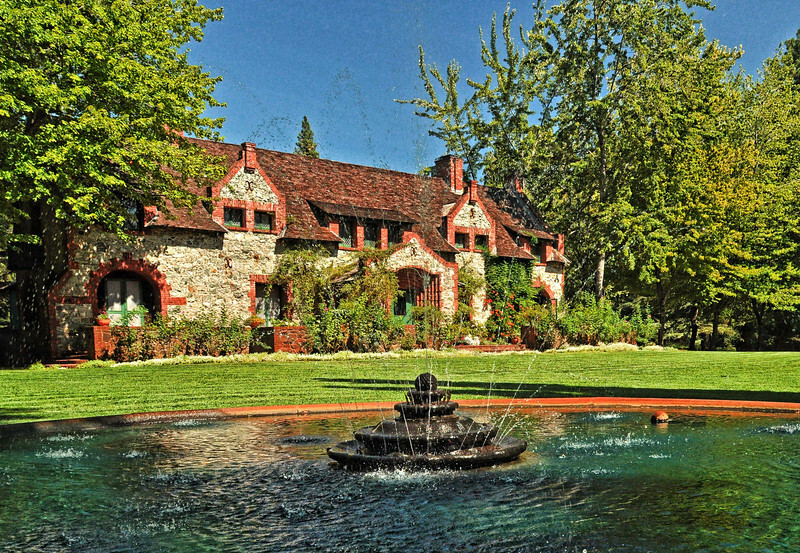 It is now a lovely Bed & Breakfast lined with original art and run by Howard Levine & Peggy Swan. You can find out about staying there at http://www.swanlevinehouse.com. 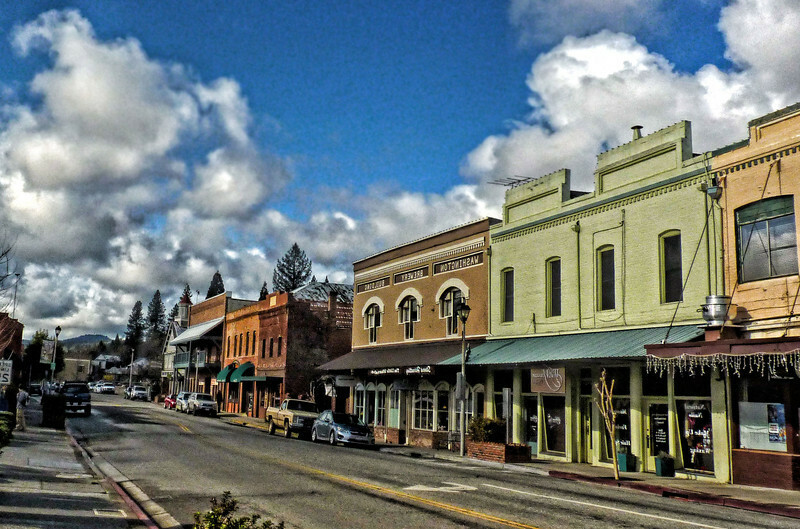 With its first post office in 1851 Grass Valley became an 1850’s gold rush capital which included the Empire Mine and North Star Mines, two of the richest mines in California history. 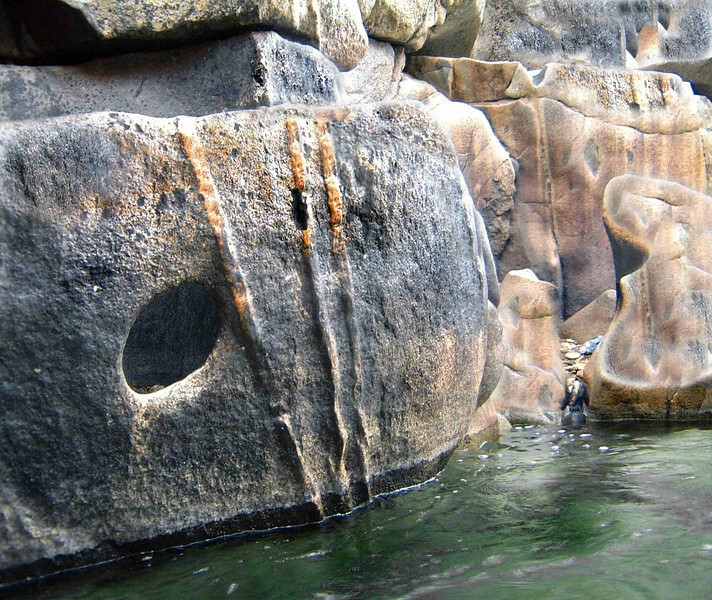 Since gold mining required many of the same skills as deep tin mining, the mines sought tin mine workers from Cornwall England to reach the deepest gold core veins. 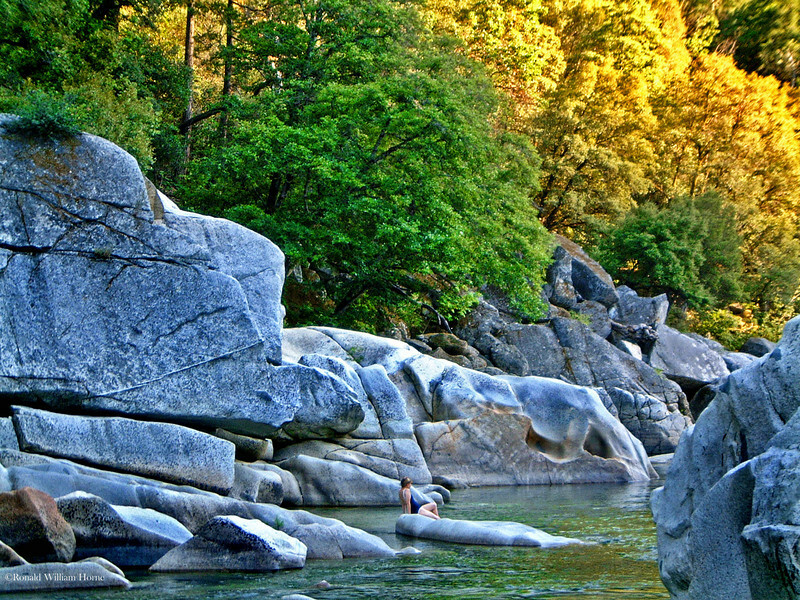 Grass Valley and Nevada City served as the nucleus of California’s the gold rush era. 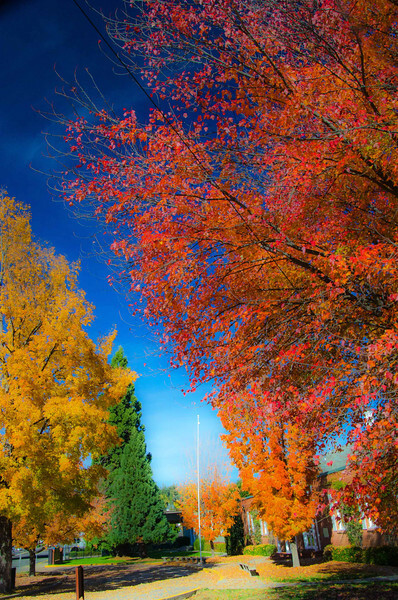 Commerical - Gold Country Folder - Gold rush settlers brought tree plantings from their east coast homes - maples, crape mrytles, birch and liquidambars - to recreate their rich autumn color. 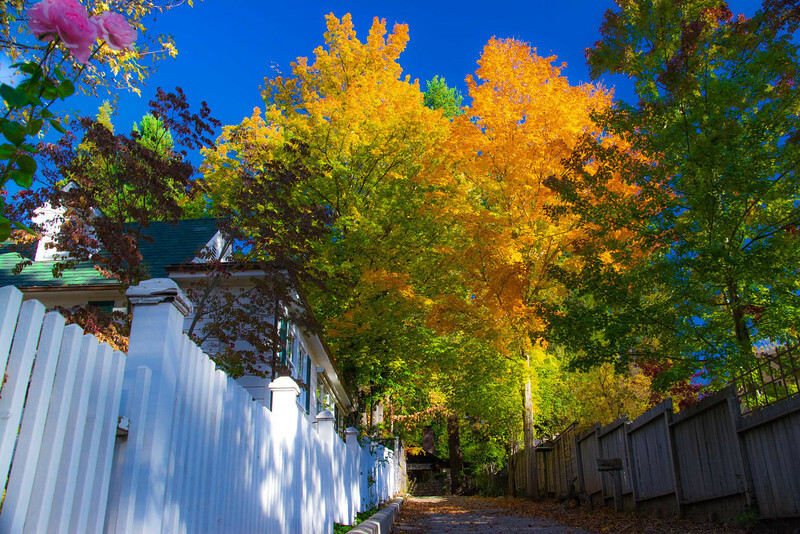 On Aristocracy Hill, where some of the original settlers built their finest homes, that rich fall color is in considerable abundance. 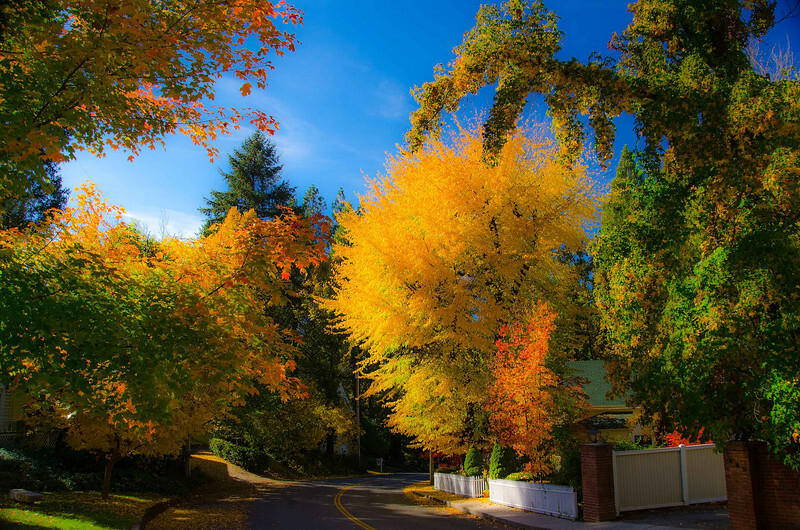 Commercial - Gold Country Folder - a Grass Valley school surrounds its entrance with bursting autumn foliage. 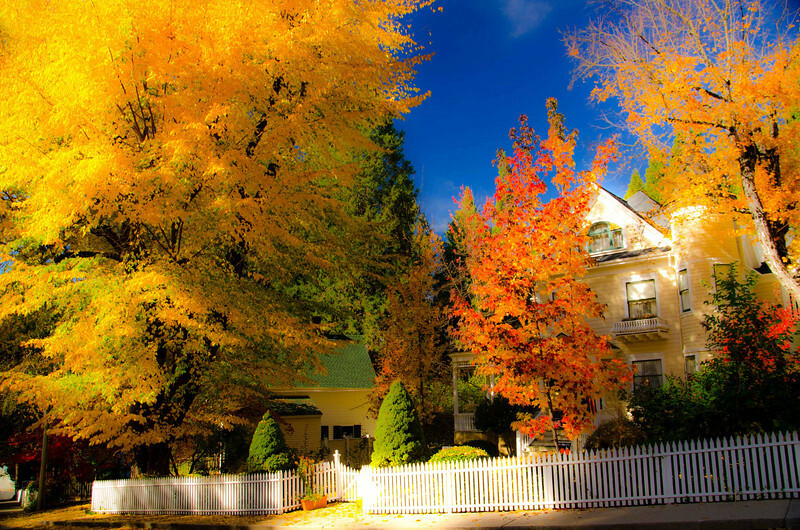 Commercial - Gold Rush Folder - a simple street on Nevada City's Aristocracy Hill is transformed by autumn's coming. 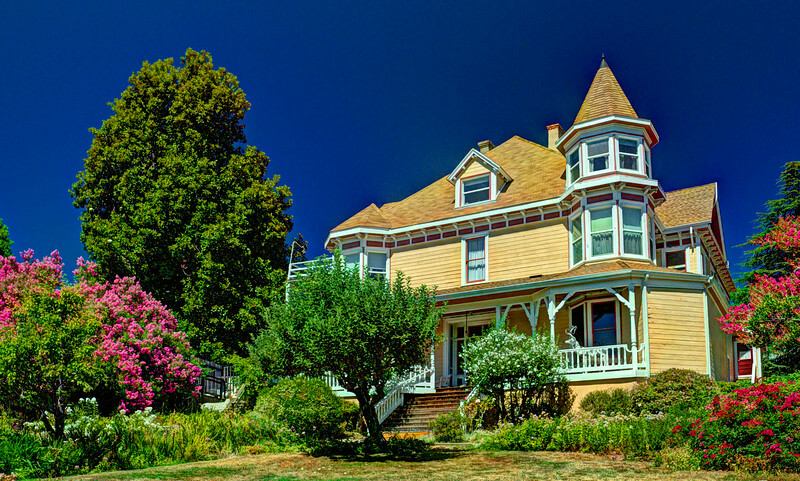 Commercial- Gold Country Folder - The Bourn Cottage, the 1890s country estate home of William Bourn, Jr. built on the Empire Mine - one of the richest gold mines in California history. 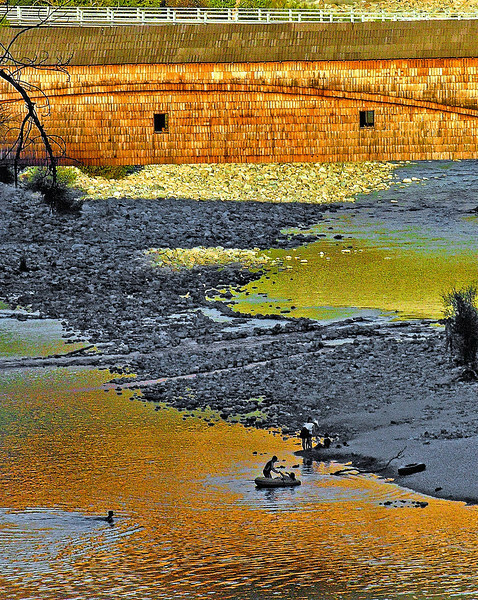 The mine is famous for its mining technology, while the grounds became known for their gardens and residences. 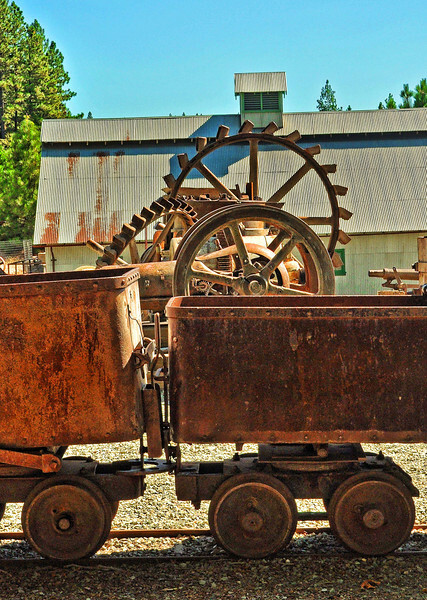 Gold Country Folder - Mining equipment from Grass Valley's Empire Mine which operated, on and off, for over a century from 1850 to 1957. 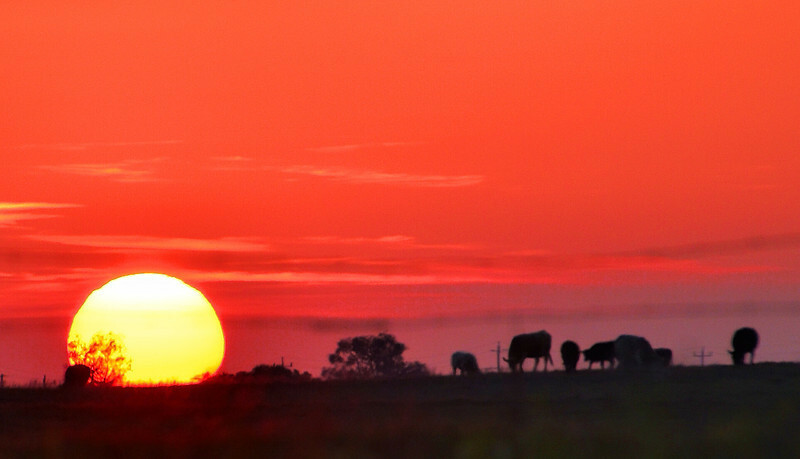 Commercial - Gold Country - A dominant setting sun does not deter these cattle from their main priority - after hours grazing. Taken while stopped at a red light in California Gold Country.